If you’re looking for a deep, thought provoking, intelligent podcast, then you’ve come to the wrong place. 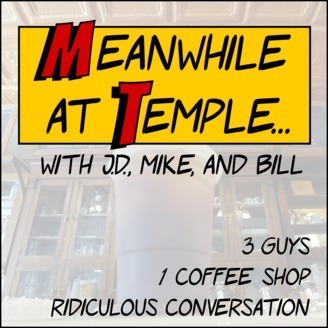 If you’re looking for a podcast about everyday things that the geeks down at the coffee shop are always talking about, then welcome to Meanwhile at Temple. What happens when a few guys at a coffee shop start talking about movies, comics, games, music, life, and other important stuff? 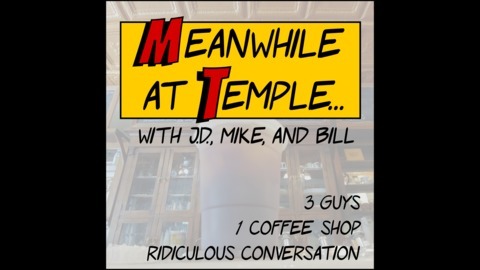 Join J.D., Mike, and Bill as we talk about whatever topic is on our mind at the moment. We’re a few life-long nerds who are passionate about the things we enjoy and can’t wait to tell you about them on our podcast. In this episode we look at some of the ways that children’s television took a drastic turn in the early 80s. From the ending and cancellation of some long-standing educational series to the beginnings of toy-driven scripting, we dive right in.